These retaining walls are not constructed at a very perpendicular straight way. The gravity working against it, starts to push the wall if that is the case. 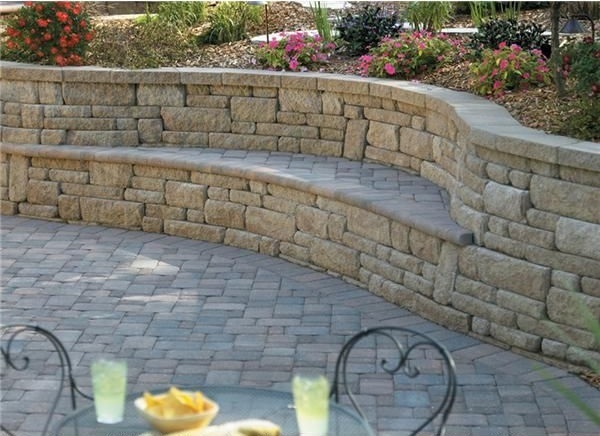 Every landscape retaining walls are built with a built-in lip that creates a step back as you keep building up. The base material should be very solid that will make the wall stay flat all the time. Blocks, stones, timber or concrete make it stronger. 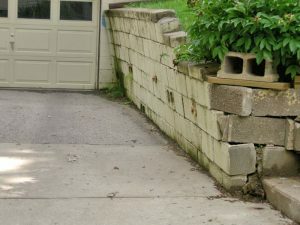 Bury the bottom or one tenth of the retaining wall into the soil and prevent the soil form pushing it out. Water and compacted soil are the two factors responsible to make even the well built landscape retaining walls to survive for a longer time. There are more chances for the water to push the wall by washing out the base material. It can also build up or stagnate just behind the wall and start to apply a very strong pressure to the wall and makes it bulging or topple gradually. It is always quintessential to prevent the water from stagnating and give a speedy water exit route for the water in these walls. Keep a drain tile at the bottom. Otherwise the water will get trapped inside, soak and weaken the base material. It is always important to build a wall in such a way that water never gets clogged just behind the wall and push against it. Use a reinforcing grid if the wall is built taller. Also use ‘Deadmen anchors’ that locks the wall into the soil just behind it if you build timber walls. It is good to build these walls to a maximum height of four feet only. For tall slopes, a series of tiered walls is good option in comparison to a single tall wall.